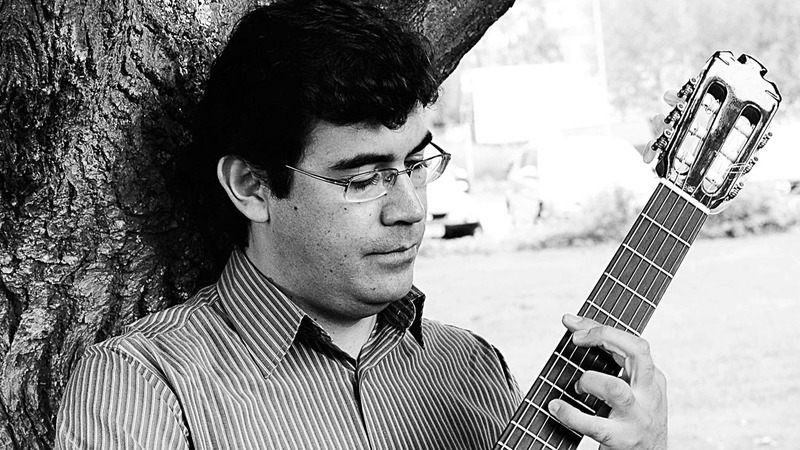 Camilo Pajuelo Valdez (born July 2, 1973) is a Peruvian musician and researcher. Has studied guitar performance at the National Conservatory of Music of Lima, and has received his Master of Arts from the University of Helsinki. He is currently working towards his doctoral degree at the Department of Philosophy, History, Culture and Art Studies (Musicology) of the University of Helsinki. Besides his musical activity as guitar soloist, has developed his career as a chamber musician. At present, he is performing, among other bands, with the duo Fueye Trinador, the duo Cantares, and the Grupo Ondú. He has combined his interest on research and musical practice by giving concerts, presentations, and workshops in several countries (Argentina, Chile, Ecuador, Estonia, Finland, Germany, Lithuania, Peru, Spain, Sweden, and Switzerland). Furthermore, he has taught at the National Conservatory of Music, the National School of Folk Arts “José María Arguedas”, the Catholic University of Lima, and as a visiting lecturer at University of Helsinki and the University of Valladolid. He is currently working as a guitar teacher at Espoon Steinerkoulu, at Sävelmetsä, and recently has been appointed Vice Principal of the International School of Music, Finland. I am from Peru. I do play guitar, as my main instrument. In addition, I play some other Latin American string instruments (e.g. charango, cuatro, tiple), and some Andean wind instruments (e.g. kena, siku). I would probably be a carpenter or calligrapher. I have studied classical guitar at the National Conservatory of Lima, Peru. I am finishing my doctoral studies at the Department of Philosophy, History, Culture and Art Studies (Musicology), at the University of Helsinki. Music is the best way to communicate and express myself. Because of my studies and work. I have many… just to name some of them Beethoven, Eduardo Sainz de la Maza, Antonio Lauro, and Raúl García Zárate. I love writing poetry, and also cooking.